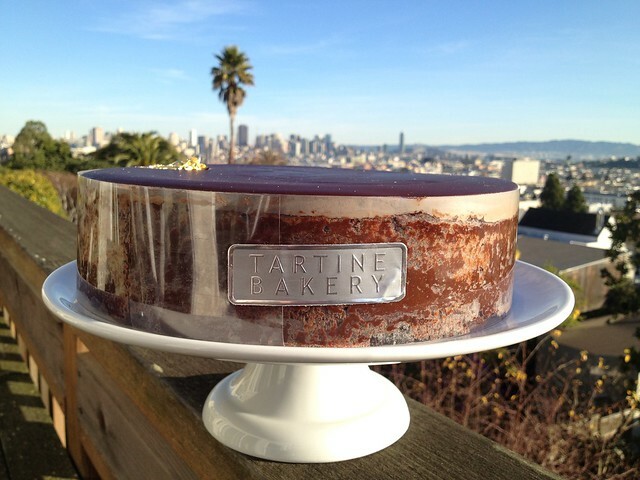 I had some co-workers over shortly after my birthday and served this wonderfully delicious cake from Tartine Bakery. This is one of those cakes that a slice is more than enough. The cake was so rich and dense. I tried forcing people to take slices home because I didn’t want it in the house to tempt me. Suffice it to say I had more than my fair share. You can see that the chocolate cake base is, indeed, very thin. 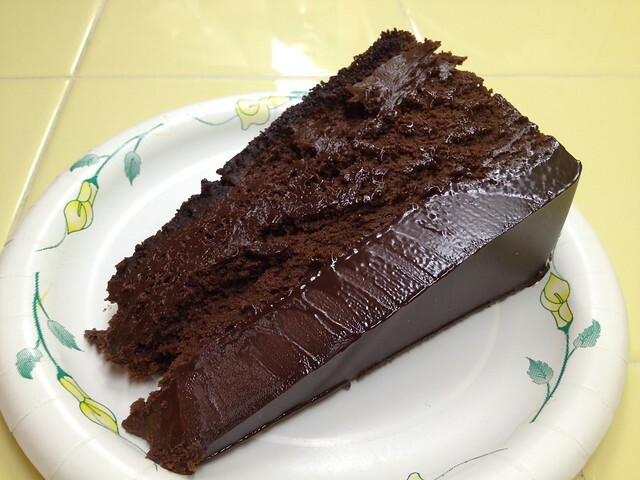 The rest of the cake eats like a block of soft chocolate. Noms! 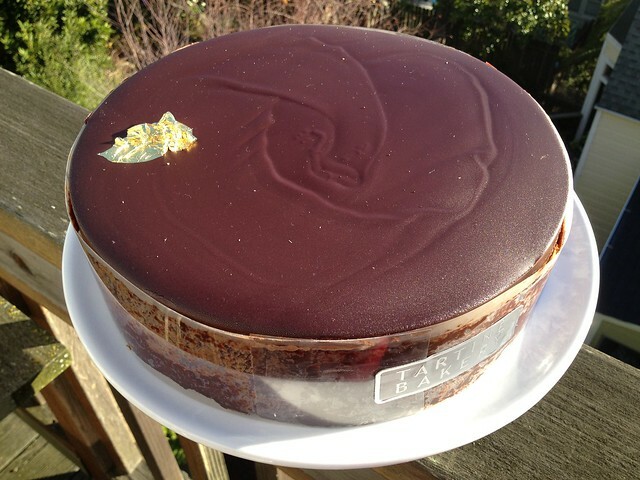 This entry was posted in Bakery, Tartine Bakery and tagged cake, chocolate, dessert by vicentesf. Bookmark the permalink.